I hope you are all doing well? I have something extremely exciting to share with you today. This season global beauty subscription company Glossybox has partnered up with leading luxury retailer, Harvery Nichols to celebrate Christmas in style with a limited edition box. Glossybox have collaborated with the internationally acclaimed store to bring you the best in beauty from their luxury beauty hall from brands including Laura Mercier, Nars, Elemis, Dermalogica, Rodial, Benefit and OPI just to name a few. The box itself is worth over £150 and contains the perfect product edit for Christmas gifting or just self-spoiling. 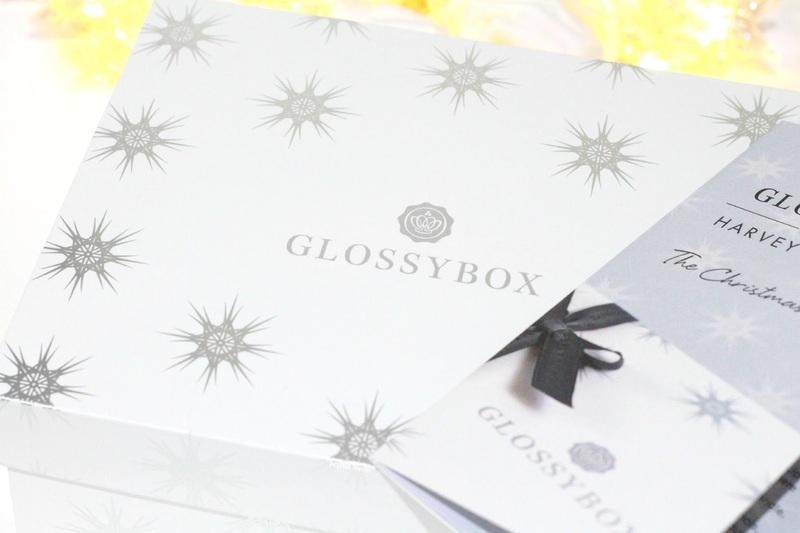 A few weeks ago I was actually invited to the launch and breakfast for the limited edition Glossybox. When I saw the invite come through to my inbox I was ecstatic...however, when I saw the date was the same day as my Grandads 70th birthday I knew I wouldn't be able to attend. Whenever there is a big milestone birthday in the family we tend to celebrate and party hard haha. Even though I could not make the actual event, Glossybox very kindly sent me the box to share with you all and I think you are all going to love it! 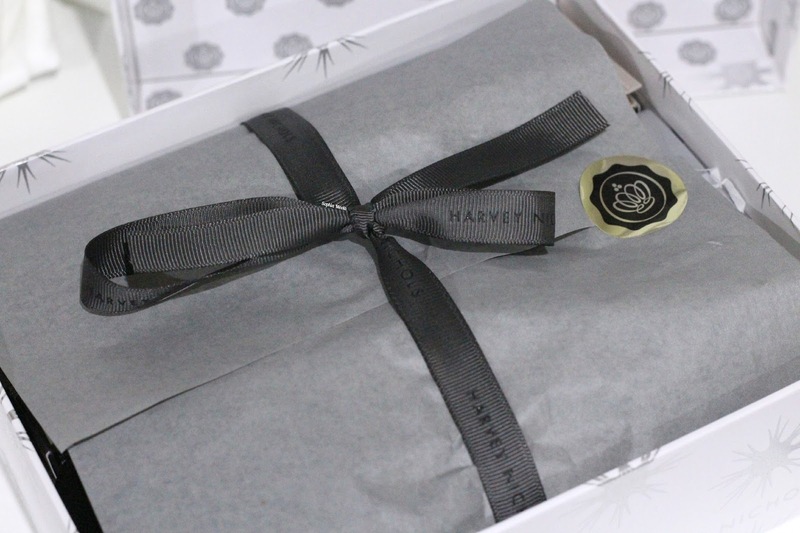 The Glossybox for Harvey Nichols launches today (17th November 2014) and is available for existing (£30) and new subscribers (£35) to purchase. Also, with the days becoming shorter and the weather becoming more dreary I have had to improvise whilst taking photos for my blog until all of my new lighting arrives. I hope you like the little mix up with the starry lights in the background and I even gave my new lens a try haha. Laura Mercier foundation primer is one of my all time favourites and is also amongst the beauty blogging community. 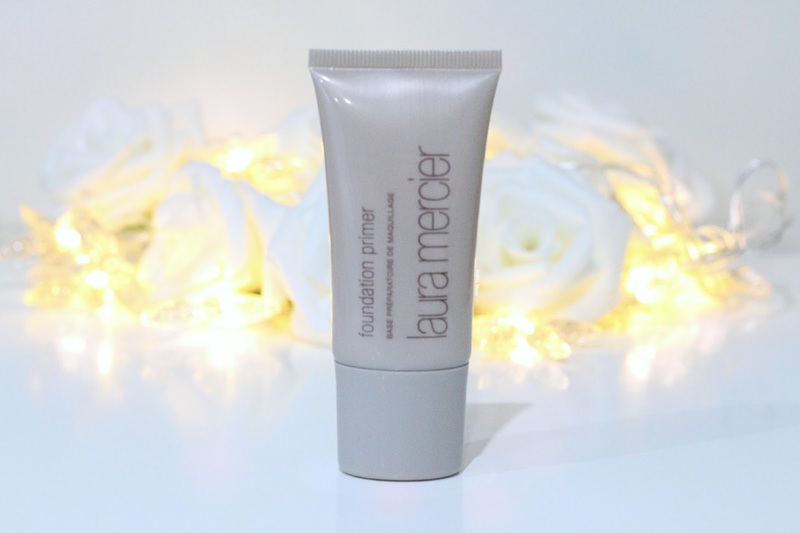 Believe it or not but I actually have not given the original a try before, however, I have gone through a few tubes of the Laura Mercier Radiance Foundation Primer which I love. Without fault this primer does everything I want and more helping me achieve that flawless foundation look...and I have full faith that this one will do the same. If you don't know, the Laura Mercier foundation primer is a lightweight, creamy gel which is applied prior to foundation, prepping the skin and creating and invisible layer that acts as a buffer to outside elements. 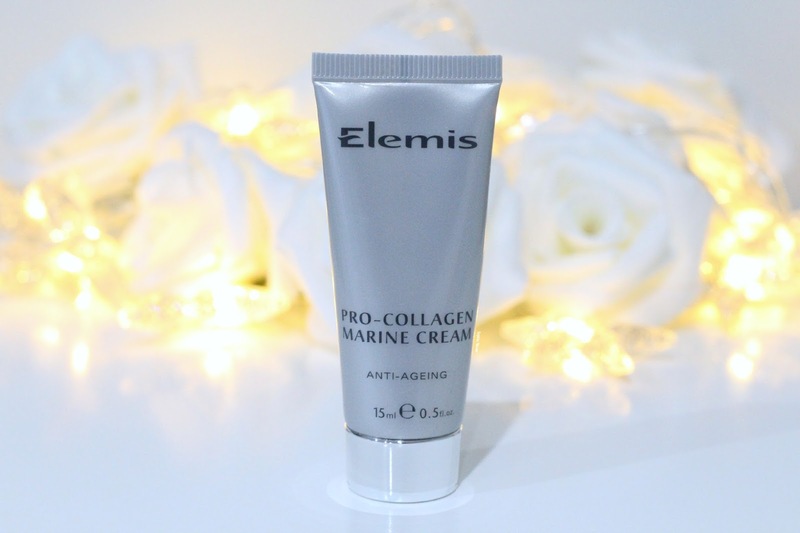 The Elemis Pro-Collagen Marine Cream is the first high-performance, marine based anti-ageing cream with a light gel-cream texture. It challenges traditional anti-ageing skincare by combining groundbreaking natural marine ingredients with the very latest in scientific research. This high tech cream penetrates the skin's layers at a deeper level and after just 15 days the skin takes on a smoother, plumper more youthful appearance. 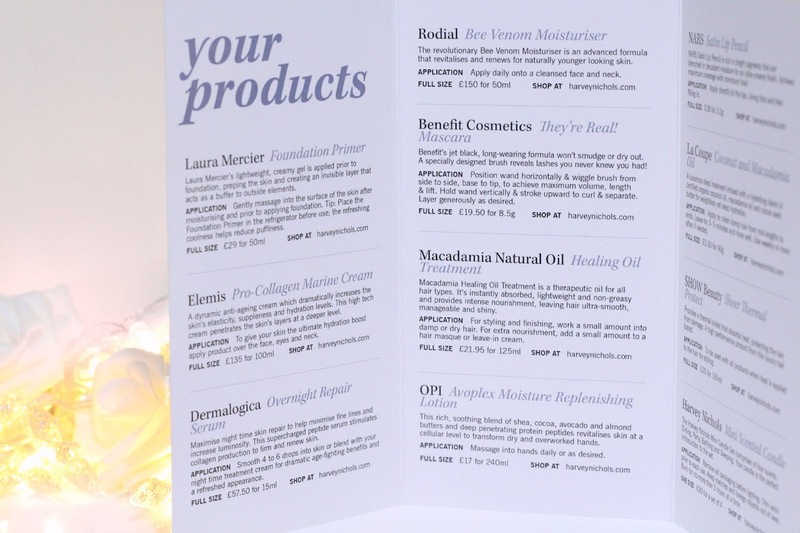 I love mini skincare samples as you can really give a new product a try before committing to the full sized product. Elemis is one of my favourite skincare brands so I am excited to give this a proper try. I actually reviewed one of the Elemis Christmas sets which came with four mini samples of their cult products so I have a lovely little collection forming now! I think everyone and their dog knows about this cult classic mascara from Benefit. I was so glad to see it featured in the Glossybox for Harvey Nichols as it truly is an amazing product. The hype around this product is 100% true and if you haven't given it a try yet I would highly recommend you do. 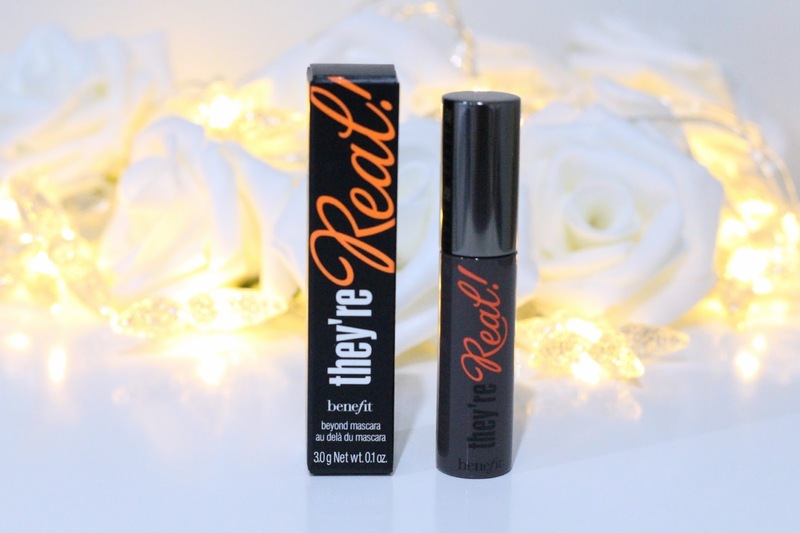 Benefit's jet black, long-wearing formula won't smudge or dry out and the brush itself has been specially designed to reveal lashes you never knew you had! Literally my heart skipped a beat when I saw that Nars was included in this Glossybox for Harvery Nochols. 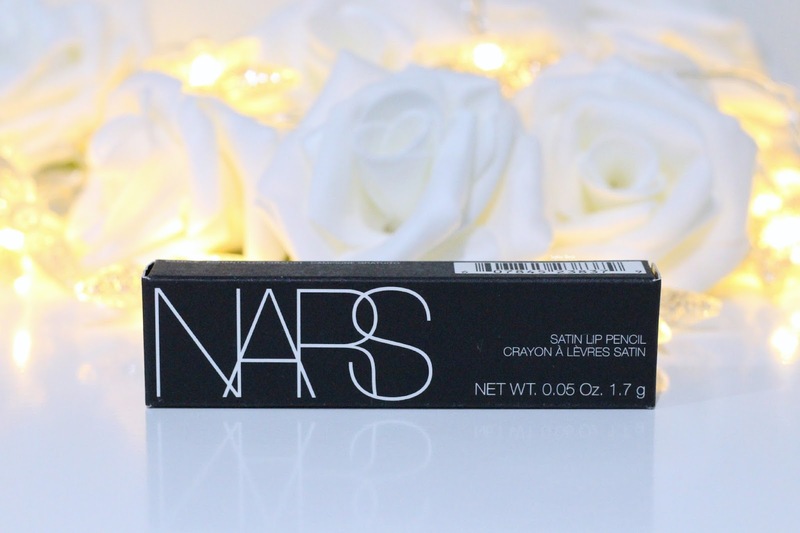 I don't know why but I haven't had the chance to branch out and give more of their products a try recently but I have to say they house one of my holy grail foundations; Nars Sheer Glow. When I opened the box to reveal this gorgeous 'Rikugien' shade the beauty blogger in me instantly shouted 'Omg this is the perfect Kylie Jenner lip' - no word of a lie haha! The picture does not do the shade justice but in reality this looks like such a gorgeous 'Velvet Teddy' shade. 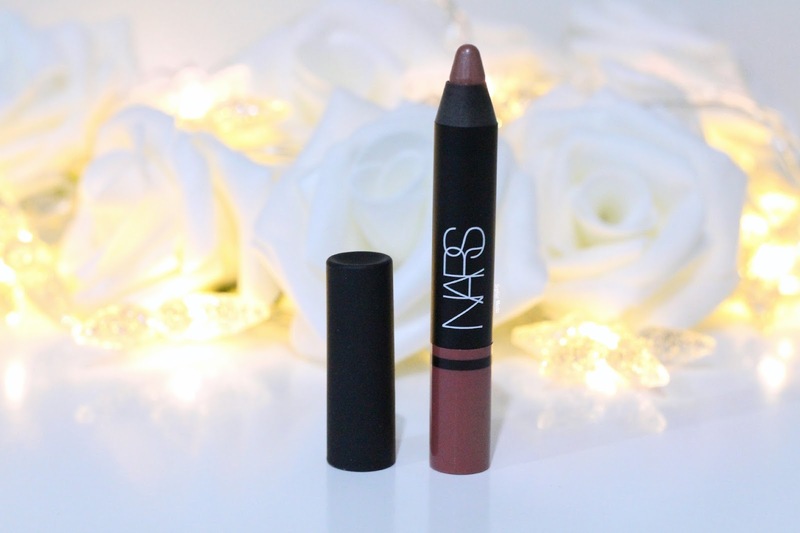 I have one of the Nars Matte Lip Pencils in 'Roman Holiday' so I am excited to give the satin variation a try! 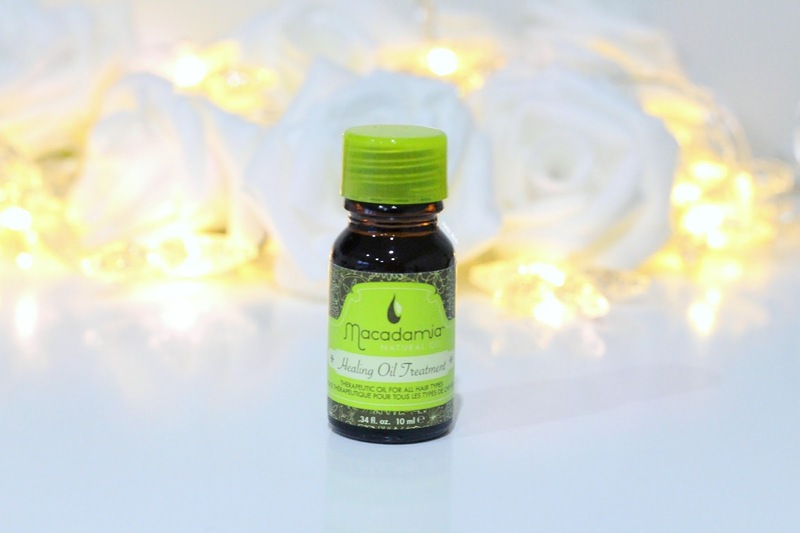 Macadamia Healing Oil Treatment is a therapeutic oil perfect for all hair types and is especially beneficial to dry and damaged hair. It is instantly absorbed, lightweight and non-greasy and provides intense nourishment, leaving hair ultra-smooth, manageable and shiny. You would't think that a 10ml sample would last you long but trust me it does! I have a couple of the mini samples in my haircare collection and I love treating my hair with it once in a while. I love to smoother my hair in it and leave it to work it's magic a little while before washing my hair. Alternatively, I have recently been adding it to my conditioner for added nourishment! When you think of OPI the chances are you instantly think of their nail polish line etc...well that is the case for me anyways. 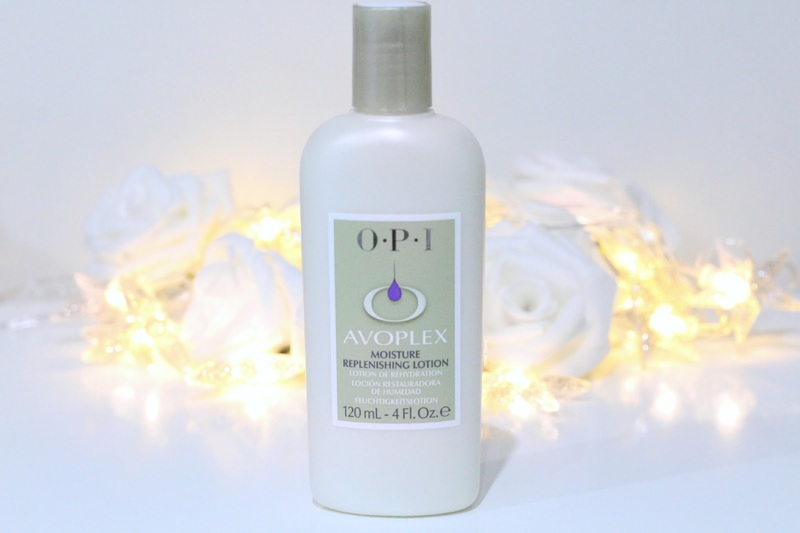 I was excited to actually give something new from OPI a try and what better than a hand cream which is perfect for the colder months we are currently having. This rich, soothing blend of shea, cocoa, avocado and almond butters and deep penetrating protein peptides revitalises skin at a cellular level to transform dry and overworked hands. This sounds gorgeous! Dermalogica is a brand I have heard so much about but never taken the plunge to giving a try myself. I was exited to see it featured within this box. You can maximise night time skin repair to help minimise fine lines and increase luminosity. This supercharged peptide serum stimulates collagen production to firm and renewed skin. Dermalogica recommends using 3 to 4 drops directly to your skin or alternatively mixing it in with your favourite evening face cream for a more refreshing appearance. Rodial is a brand I have heard tones about but yet again never taken the plunge to try myself. 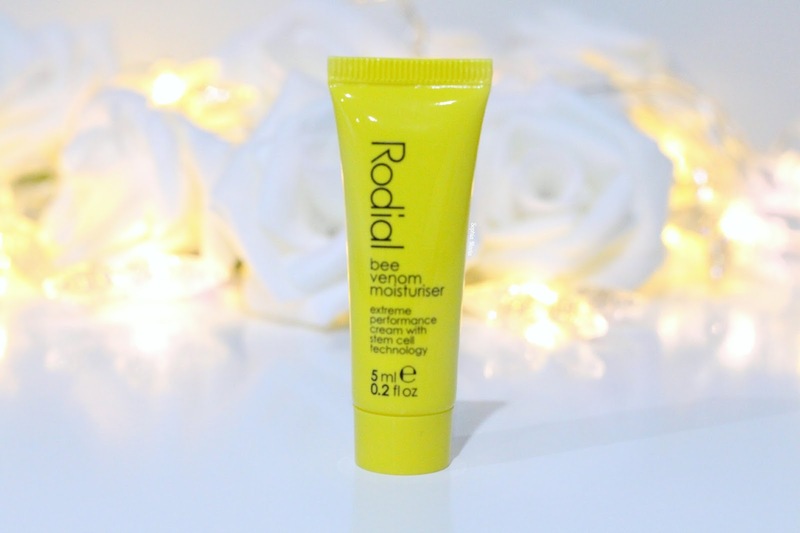 This Rodial Bee Venom Moisturiser is an advanced formula that revitalises and renews for naturally younger looking skin. Working in synergy with plant stem cells it gives skin an overall more youthful appearance. A full sized 50ml tub of this costs £150 so I would definitely recommend giving the sample a try before committing as £150 it a lot to loose out on if the product doesn't react well to you skin. I have tried Bee Venom in the past and I have to say there is something so special it as an ingredient as it works wonders on all skin types. Show Beauty's luxurious Thermal Protect defends your hair from intense heat, giving un-rivaled protection while providing exceptional style and hold. 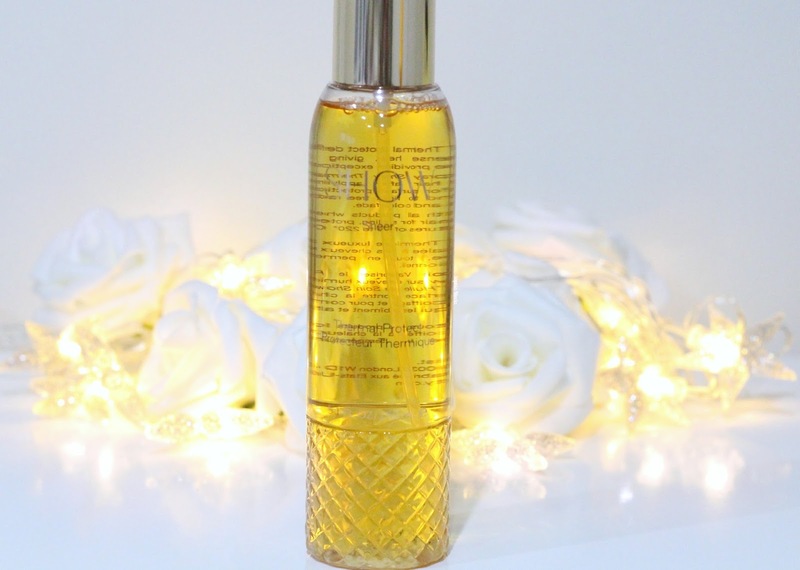 A specialised complex of hydrolysed wheat protein enhances body and shine as a blend of anti-oxidants and molecular proteins protect against heat, actively promoting greater colour retention, improving the tensile strength and general condition of your hair. I was amazed to see a full sized product of this within the box as alone it costs £35 which is practically the price of the box itself deepening if you are an existing or new customer. As each box houses different variation of the brands featured you could have received wither the Volume Lotion, Volume Mousse, Finishing Spray, Texture Spray, Dry Shampoo, Thickening Mist, Volumising Mist, Thickening Lotion, Pure Treament Oil, Hair Fragrance of the Thermal Mist which is what I received. I am completely satisfied with the variation I received, however, I would love to give the Texture Spray a try and those are my favourites to use on my hair recently! If you read my blog then you will know how much I love candles and even more so now the winter months are here. When I saw that Harvey Nichols had included one of their mini Candles I just squealed with excitement. The candle itself is part of a set of four mini's that Harvery Nichols sells worth £30 and make the perfect introduction to the candles Harvey Nichols offers. As there are four different variations in the set, within each box you would have received one of the four; Dining, Bathing, Sleeping or Party which is the variation I received. 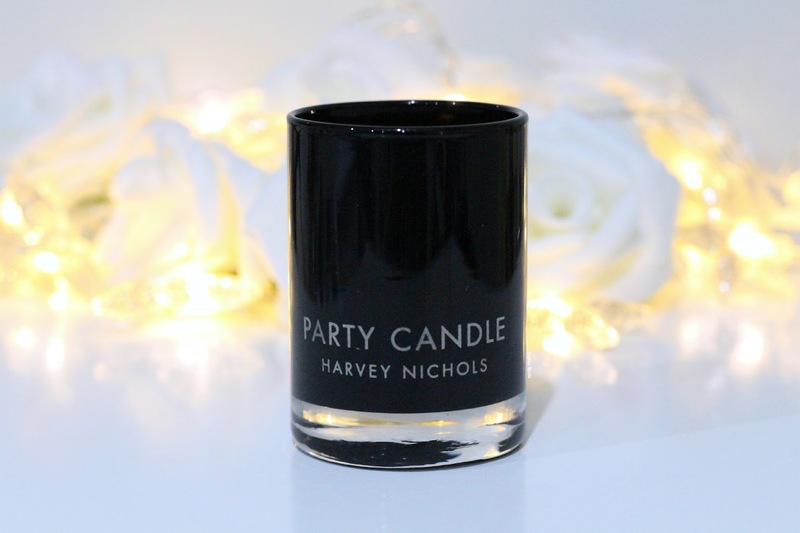 According to the Harvey Nichols website 'Party' is a scented fragrance that will excite your senses with a blend of black pepper, frankincense, cedar wood and patchouli...a definite winter warming scent! What I love about mini candles is how cute they look but also how you can actually give them a try before committing to a full sized etc. This was the only packet product in the box which I think is incredible as I have seen some subscription boxes in the past offer more foil / packet samples than actual deluxe samples or full sized products. I love using deep repair masks during the winter months so this will come in super handy when giving my hair some TLC. 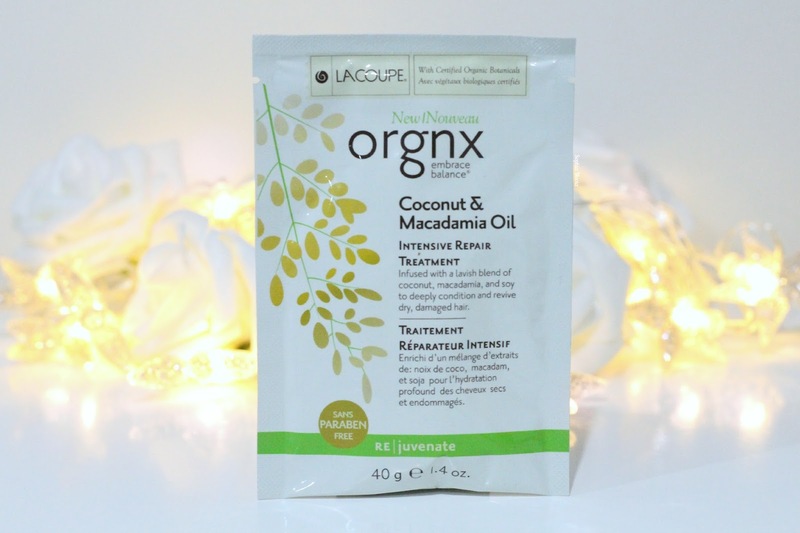 This is a luxurious deep treatment infused with a hydrating blend of certified organic coconut oil, macadamia oil and cocoa seed butter for weightless yet deep hydration. Just like the Moroccan oil I would use this as a treatment prior to washing my hair or alternatively combine the two for a super intense nourishing treatment for my hair. Overall, I am in complete love with this box and there is not one product throughout the selection that I would not use. I love how the box itself included a mixture of makeup, skincare, body care, hair care and also lifestyle products. The box itself houses some glorious cult classics with the added bonus of some more individual brands that only Harvey Nichols offer. Keeping within the theme of my Christmas gift guides I think this would make the perfect surprise gift for any beauty addict. If you would like to pick yourself one of these glorious limited edition Glossybox for Harvey Nichols up you can register your interest and purchase one by clicking here. I am more than sure that these will be selling out like hotcakes so if you are interested I would go and register straight away to secure your box! I hope you all enjoyed this post! 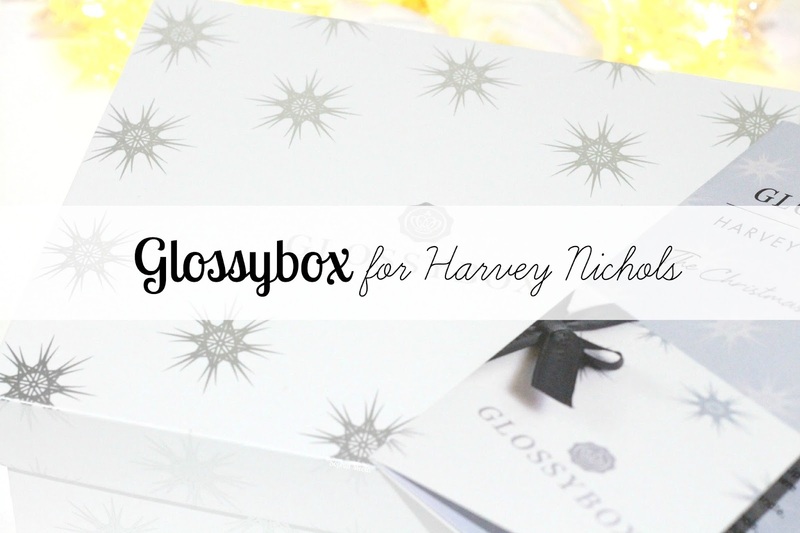 I would love to know your thoughts on the Glossybox for Harvey Nichols and if it is something you would love to pick up and give a try. Like always lovelies, if you have any questions, requests or if you just want a chat you can contact me on my social media or leave me a comment below. I love hearing from you all and I make sure to read every single comment…they really make my day! I'd love to get hold of the Laura Mercier primer, They're Real mascara and Nars pencil! Such a shame that it's already sold out! Everytime i see a post about Glossy Box it makes me more intrigued whether i should buy a subscription. 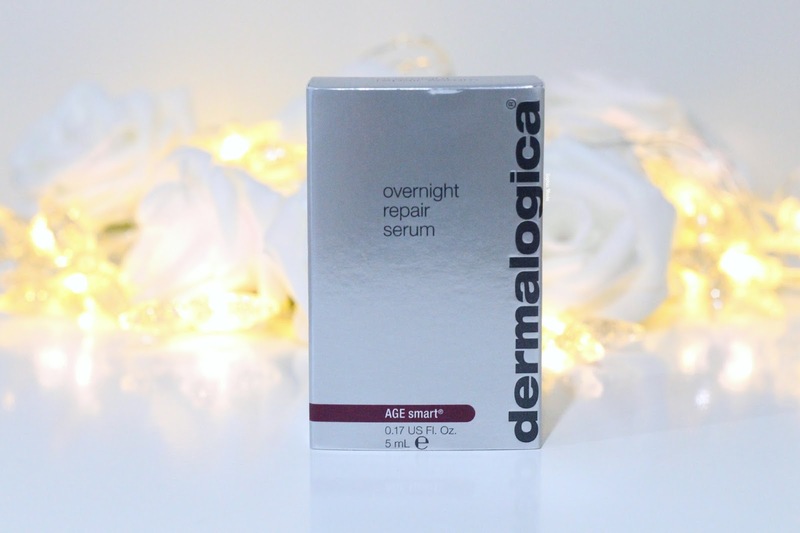 Theres so many brands and products in this box that i love and would love to try more of, especially the Dermalogica Overnight Repair Serum. I think its got me now :) Time to get my subscribe on. What a lovely selection of products, I am a huge Elemis fan and I also love the primer. 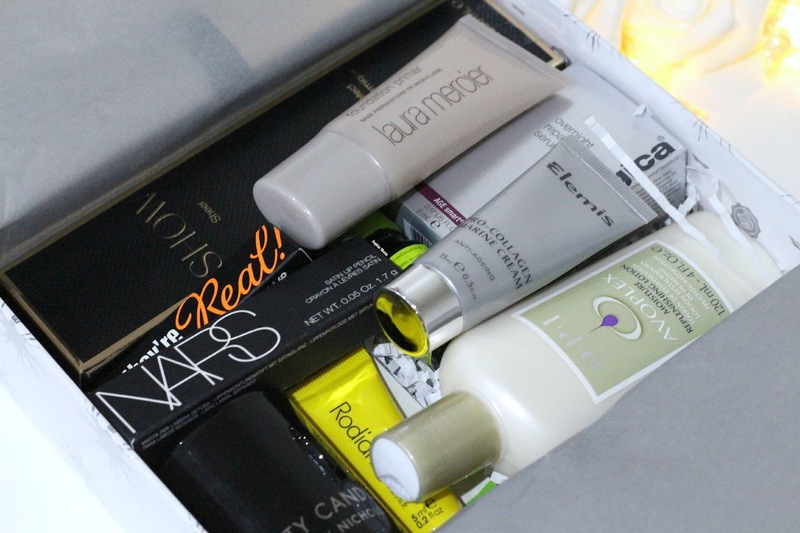 oh this is like a beauty box on steroids!! Great products, wish they shipped in Europe. Omy! This box is great! Such nice products. WOW!!!!!! This was a really great box, and you got some really great top brands in here! !